Built in 1927, the Wilshire Ebell Theatre lends old Hollywood glamour to any event. The architecture is beautiful, and the smell of the interior takes you back to another place and time. For this portrait, I repositioned one of the couches (taking care not to scratch the floor), then posed the bride in a lounging position. I then asked the groom to sit on the floor with one knee bent. I also took care to make sure that the bride's head did not crash into the vertical line created by the hallway wall behind her. 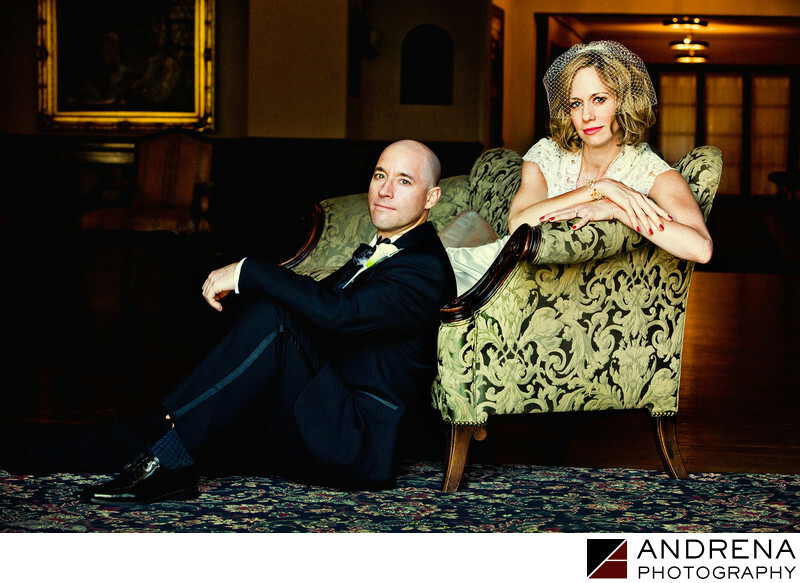 The end result is a timeless portrait that the bride and groom loved. Wedding photographed at the Wilshire Ebell Theatre in Los Angeles, California.